Is your mainsheet block about to fail – check it now! Rodney Cobb of Suntouched Sailboats and Andrew Wylam have highlighted a potential failure to some Finn mainsheet central jammers that may have inadvertently had the U adapter fitted the wrong way round. 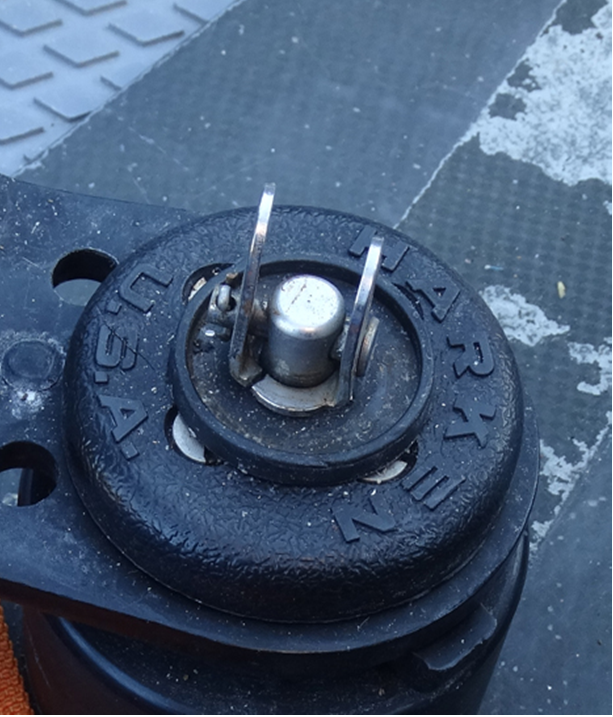 The problem came to light after a couple of repeated failures and Harken have advised the correct way the U shaped adapter that connects the ratchet block to the swivel base should be orientated. 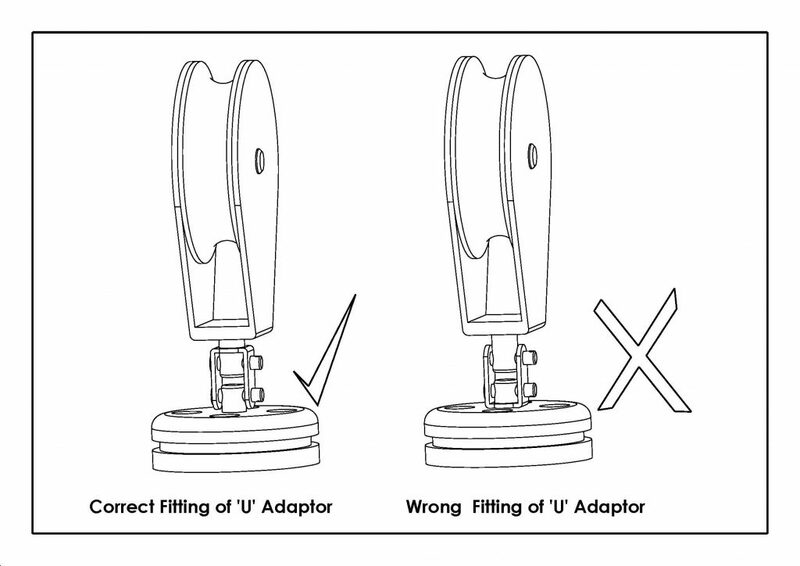 Otherwise, the mainsheet block exerts too strong a sideways force on the U adapter, result in it failing as shown below. Luckily Rodney has a good stock of replacement adapters available at Suntouched for a low cost, so if yours is cracked replace it before it fails and costs you a race!